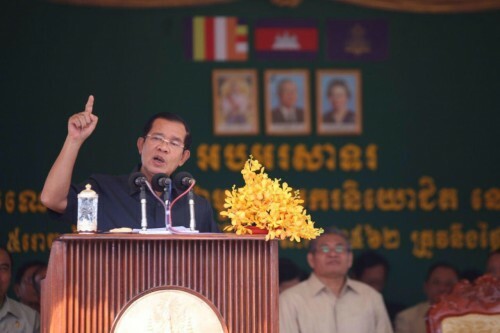 Cambodian Prime Minister Hun Sen announced that he is eagerly awaiting an exiled former opposition leader Sam Rainsy’s repatriation, speaking in a meeting with approximately 12,000 workers from 12 factories in Kampot province on Friday. “Yesterday, interior minister announced that he already received the court’s order to arrest Rainsy,” stated the premier. The premier’s statement came after former Vice President of CNRP Eng Chhai Eang claimed that the Standing Committee’s meeting in Lowell, USA, aimed to prepare for Rainsy’s repatriation to Cambodia.